A rare colour for coneflowers, this brilliant cranberryred hue is sure to be admired by friends, neighbours and passersby. But it's not the colour that makes Double Scoop stand out from its peers. 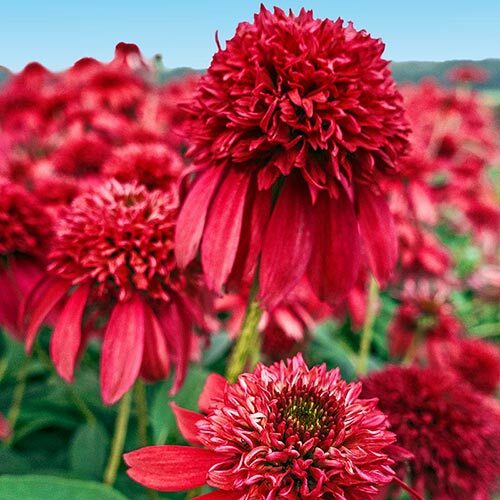 This unique variety also boasts a double pom-pom form that gives any back border or cutting garden a touch of style. Coneflowers come back year after year, bearing even more blooms than before. Drought-tolerant plants are deer resistant and attract pollinators to the area.